Since the company was founded in 1921, Mid-West Metal Products has been an industry leader thanks to astute management and experienced well-trained employees who know how to get the most out of our state-of-the-art design, fabrication and automated production systems. 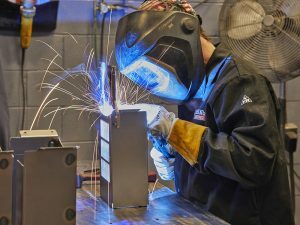 Our custom sheet metal and structural fabrication services meet the needs of our exacting contract and OEM manufacturing clients in a range of industries that demand innovation as well as superior quality and service. Providing value added services such as tool room capabilities, including design/build, CAD design, fixtures, tooling, and jigs. Our available finishes include plating (zinc, chrome, electro), anodizing, heat treatment and annealing. 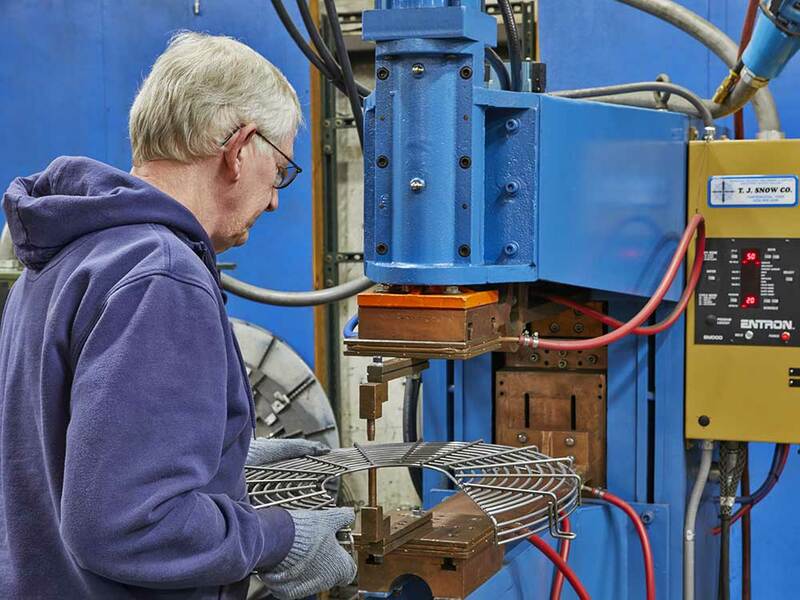 Mid-West does CNC bending, forming, general machining, laser cutting, rolling, tube bending, welding and more on a variety of metals, such as aluminum and galvanized steel, up to .50″ thick and measuring 10′ x 5′. As part of our commitment quality to our valued customers, Mid-West is compliant with multiple industry standards, including, ANSI, ASME, STM and AWS. For more information on our sheet metal and structural fabrication services, please see below or contact us. We look forward to discussing your requirements with you. Other: Production Sawing, 4′ Tumble/Debur Bowl, Mig Welding, Press Welding, Bridgeport for secondary drilling and chamfering, Pemserting, Riveting, Sanding, Grinding, Sand Blasting, Tapping, and Assembly work. 6 Certified MIG welders. IGES – Initial Graphics Exchange Specification, ANSI file format. © Copyright 2019 Mid-West Metal Products. All Rights Reserved.